Can you believe its almost time to celebrate the 4th of July? This holiday is my absolute marker that summer is here, and its here to stay. 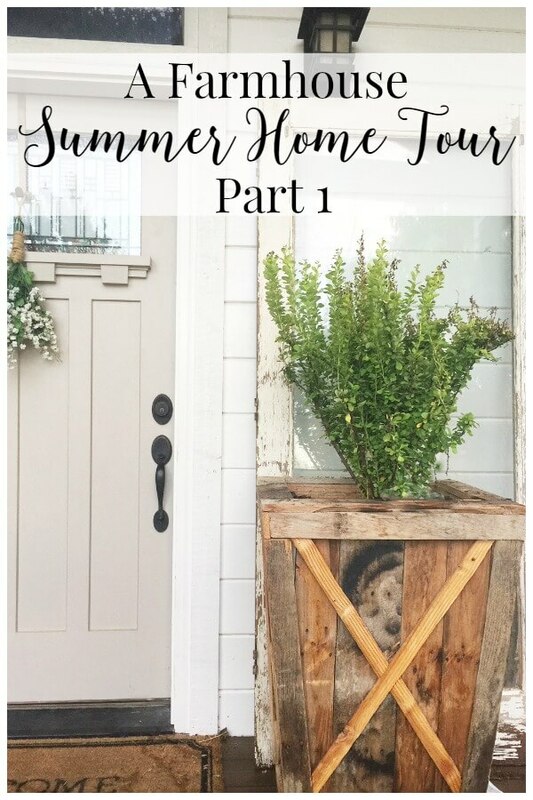 With so much traveling going on over the last few weeks, I haven’t had much time to spend thinking about what to do for our 4th of July celebrations. 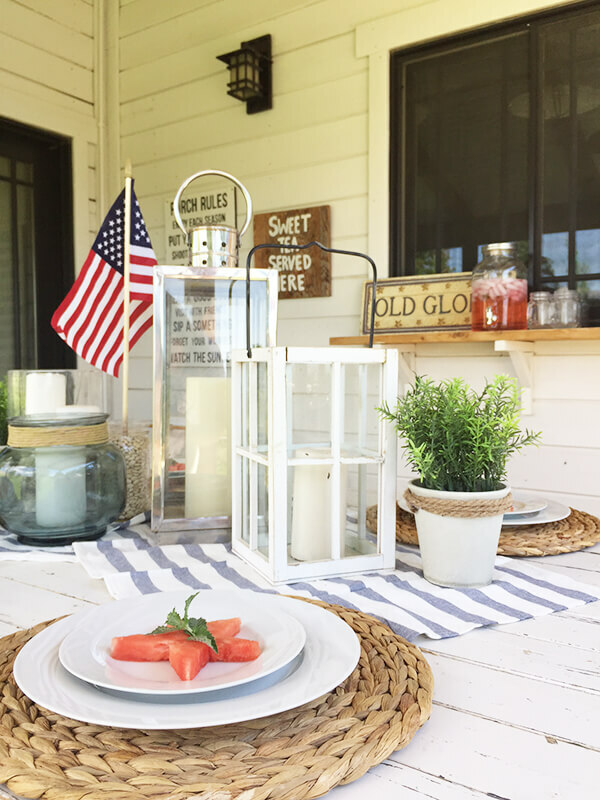 I was excited to be included in this really fun patriotic 4th of July tablescape blog hop with a handful of really talented bloggers! 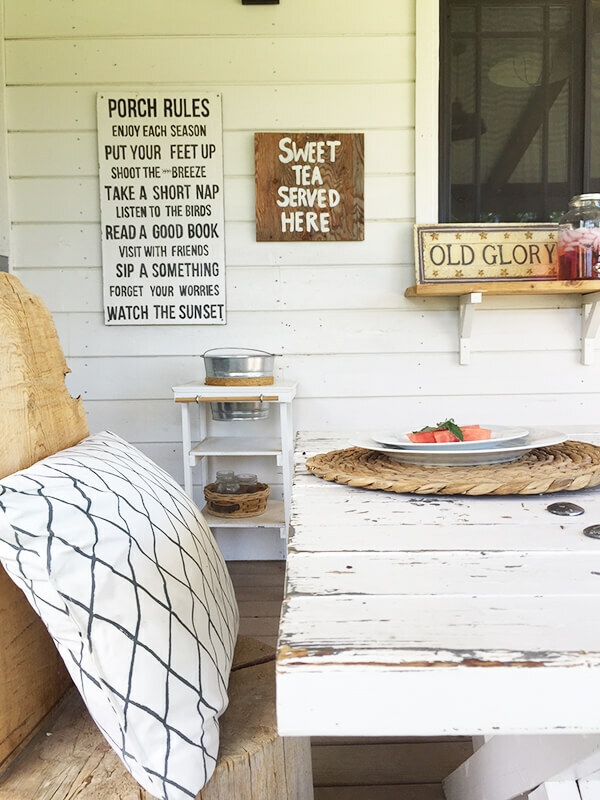 During the summer, our backyard is our favorite place. We spend a lot of time and effort making it a beautiful place to be, so we spend countless hours and nights enjoying it. We eat out on our back patio, we lounge in the hammock nestled in the aspen trees, and we spend hours picking raspberries in our raspberry patch, very few actually making into the bucket. The 4th of July is a big event in our small town, with a parade and fun community events all day, it can easily become a long and tiring day. 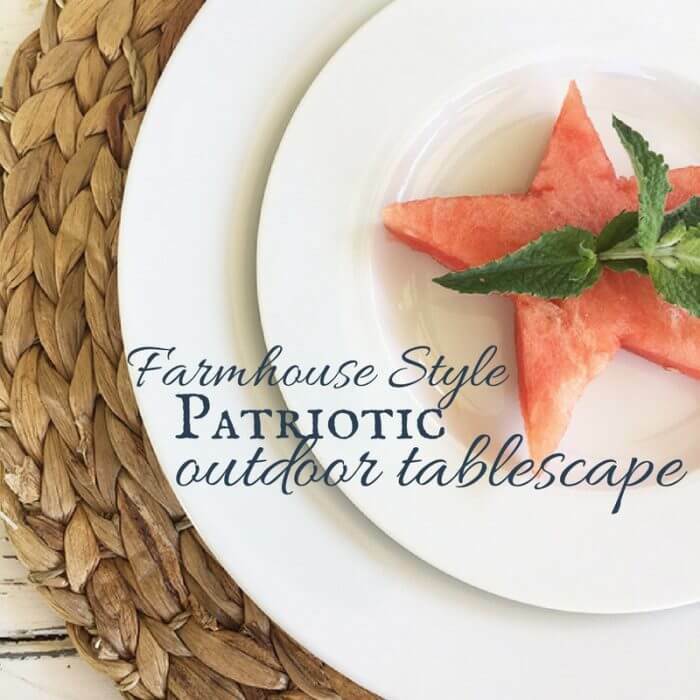 That is why I wanted to show you how easy it can be to create a fun and festive farmhouse style patriotic outdoor tablescape that your while family will enjoy and for less effort than you may think! So, in full disclosure, I did no preparation for this…absolutely none. I was away on vacation until 3 days ago, and my mind was focused on other things. 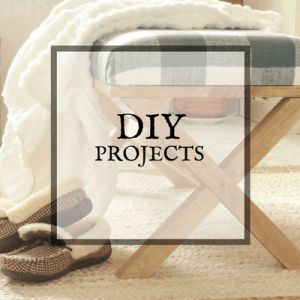 My point being, you don’t have to spend tons of time preparing, or a lot of money to make it beautiful. I started by choosing a theme. After wandering around my home, I came to the conclusion that I could use lanterns as the most main focal point since I had plenty of them. I gathered them all up and filled them chock full of candles. I went to my sewing/linen closet to see what I had that I could use. I found a handful of Ikea towels that I was going to use to make pillow covers. 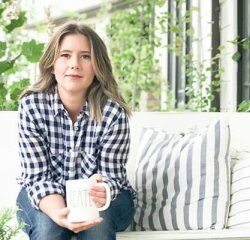 They were blue and white striped, which was perfect for my table. 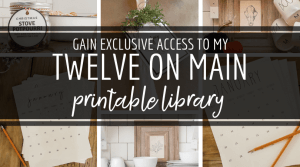 I wanted to create something that was patriotic, but also neutral, simple, and farmhouse style. I used my Ikea towels as a base to my centerpiece. I then started to add my lanterns atop the towels. I varied the heights of the lanterns to create interest and dimension. I included a clear vase full of white beans and candles. I can only imagine with this will look like when it gets dark outside, with all the glow from the candles. I can’t wait! 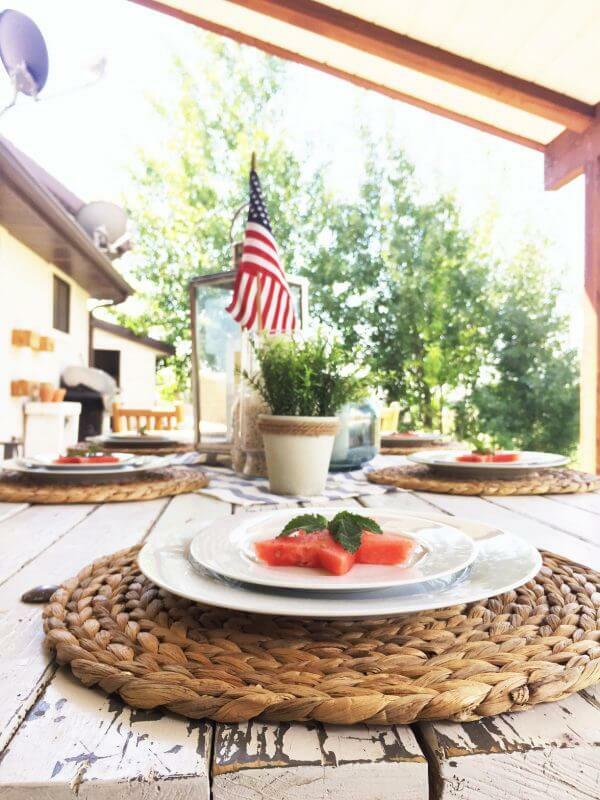 I added my sea grass place mats to my DIY farmhouse picnic table, and topped them with my simple white dishes I bought on Amazon. I love these dishes! 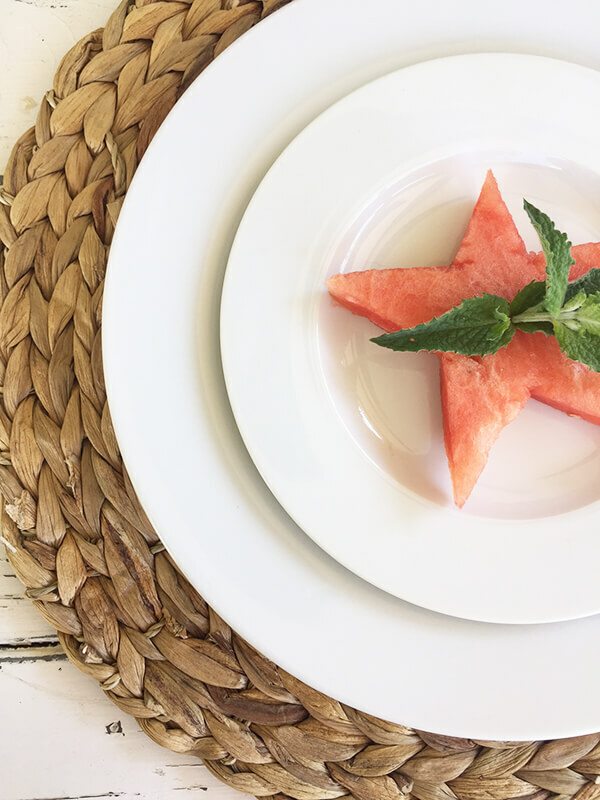 I topped each plate with a simple watermelon star and some peppermint. 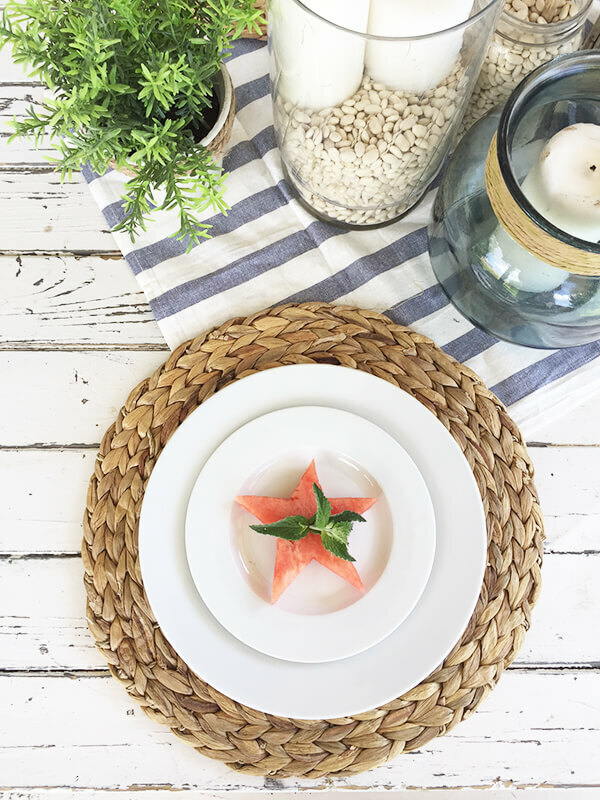 A simple and tasty way to decorate a plate! 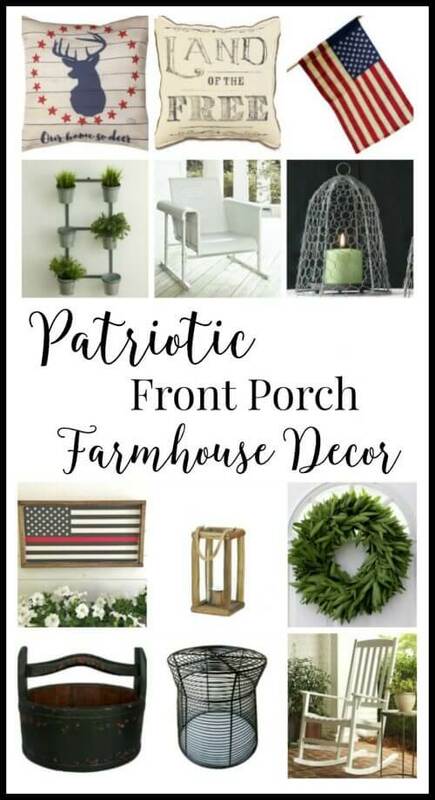 Some simple greenery to my farmhouse style patriotic outdoor tablescape ties it together with the greenery in my farmhouse style wall planter behind the table. 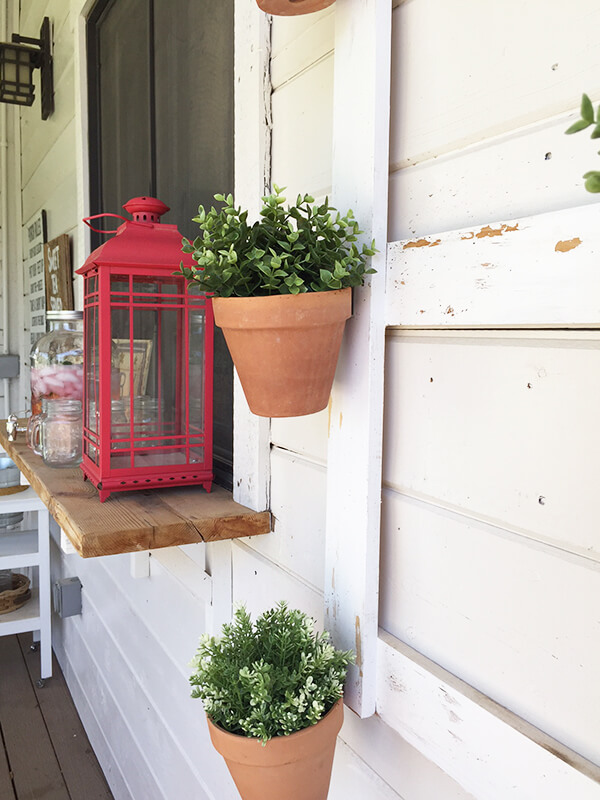 Last summer I built an outdoor window shelf, that connected my outdoor space to my kitchen. I have found it to be a really convenient place to set up drinks, or any other items that we didn’t want to have on the actual table. Its a great place for people to stop to fill up their drinks. I love this view. 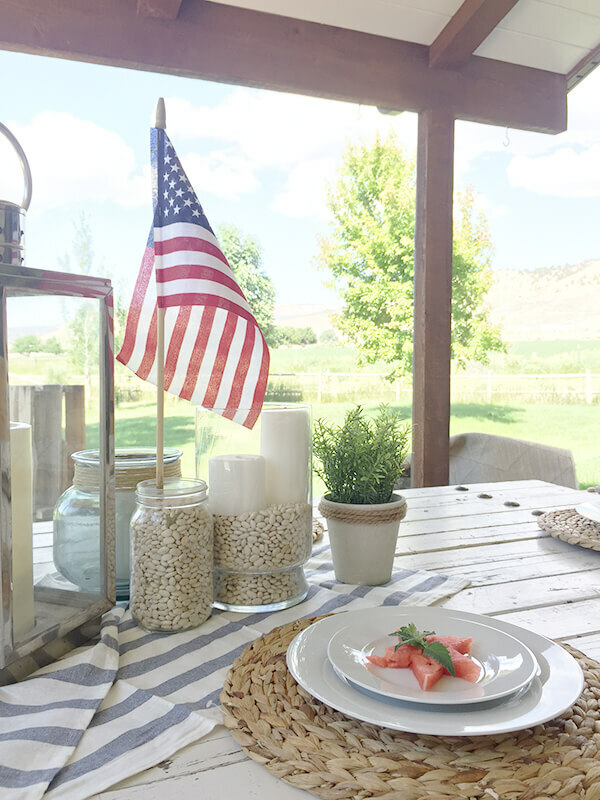 The chippy white of our picnic table, that American flag, and that grove of Quaking Aspen trees in the background. That is the spot where I sometimes lay nestled in my hammock. Yes, sometimes I do feel spoiled. 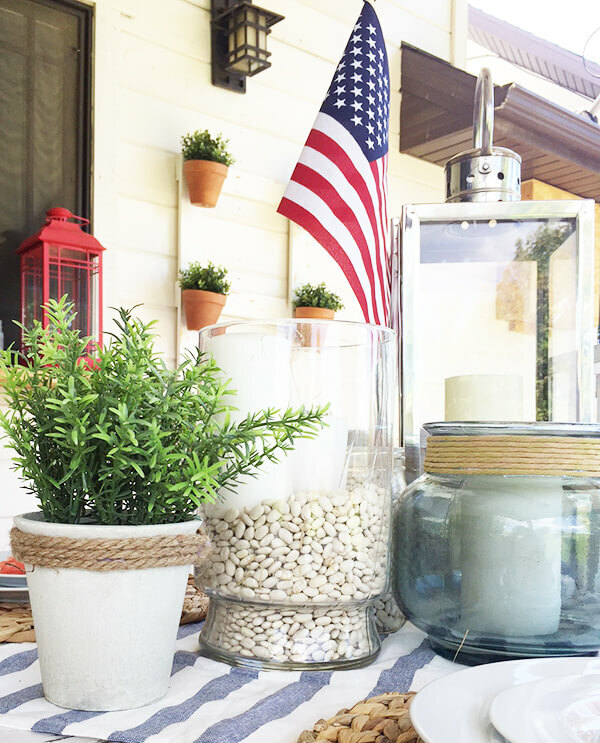 I love my farmhouse style patriotic outdoor tablescape! I can’t wait to spend our 4th of July here as a family. I had to fight my kids off just to get these pictures! They wanted those star watermelons so bad! No worries though, they ate them up as soon as I was done. 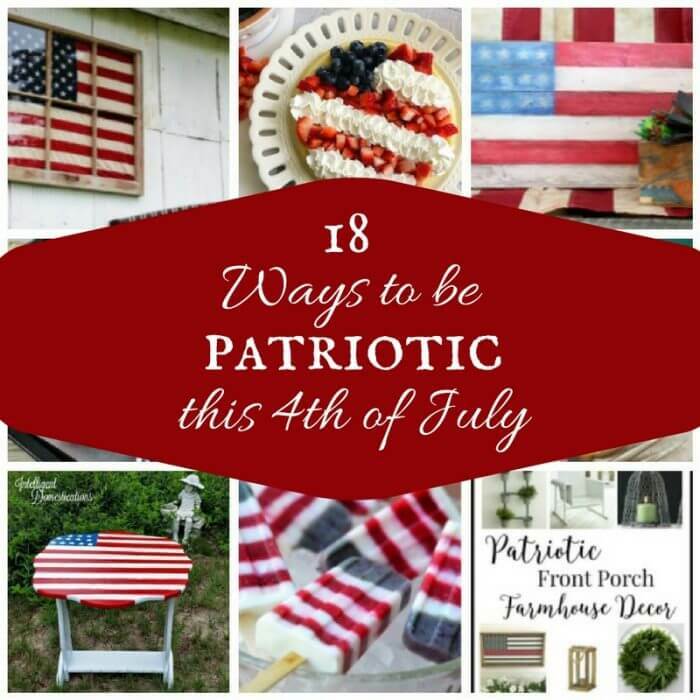 What do you have planned for the 4th of July? I love this holiday. Especially after the last few weeks. We spent the last 2 weeks seeing, and learning about all the historical sites that made this country what it is today. To see the original Declaration of Independence and the original Constitution, and to see those original signatures of our founding fathers. To learn and teach our children about what it took to become one nation under God. To see the memorials remembering all those that gave their lives to keep this nation free, was a profound and humbling experience. The 4th of July is not just a day off work, not just a day to barbecue, it is a day to be proud of our heritage and remember those that believed that this nation could be great. I know I am grateful for that. 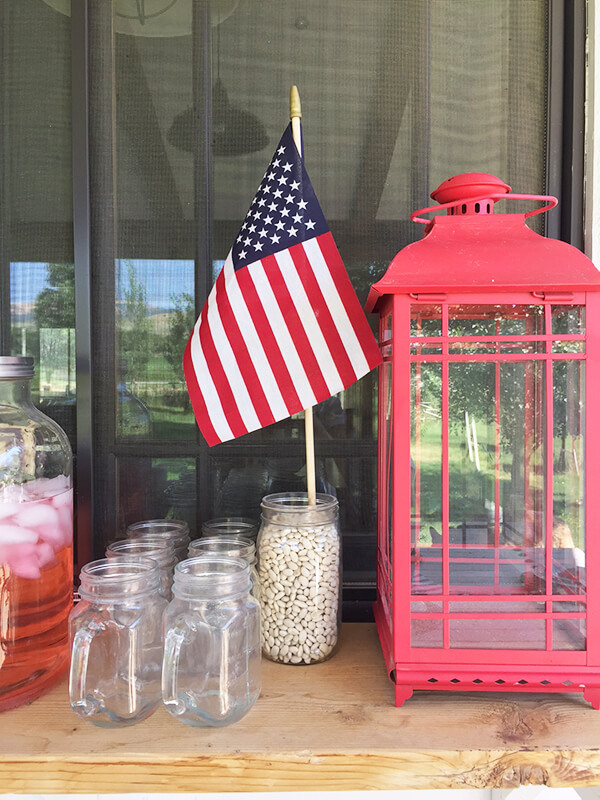 I am grateful to live in this free nation where I am able to celebrate with my family, in my backyard, and be proud to be part of this great nation. I hope you spend your 4th of July doing what you love! 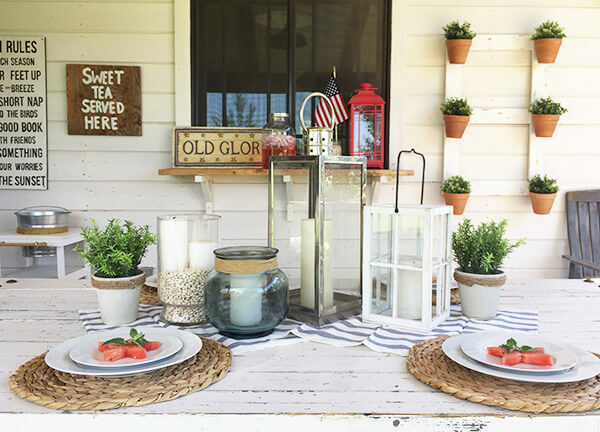 Now make sure you stop on by these other amazing 4th of July tablescapes! 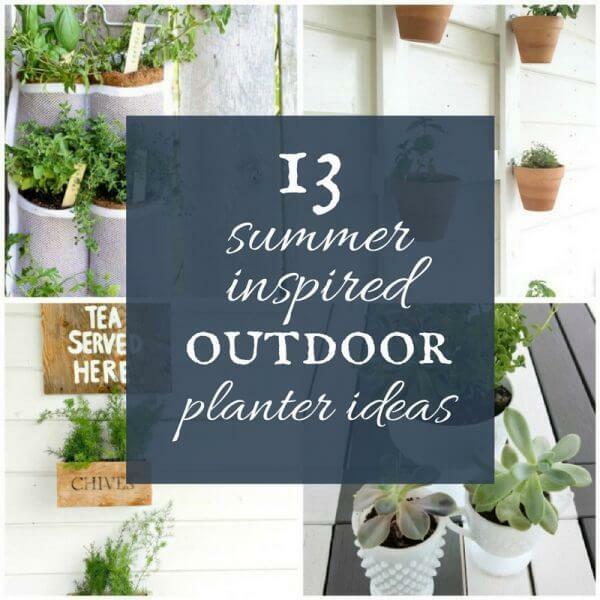 Ahh this all looks so refreshing and summery! Gorgeous job! Girl, for no preparation you have knocked it outta the park! This is beautiful! Happy 4th of July! Thanks Beth! Sometimes I find I do my best under pressure! Ha! Hope you have a wonderful 4th as well. Thank you Amanda! 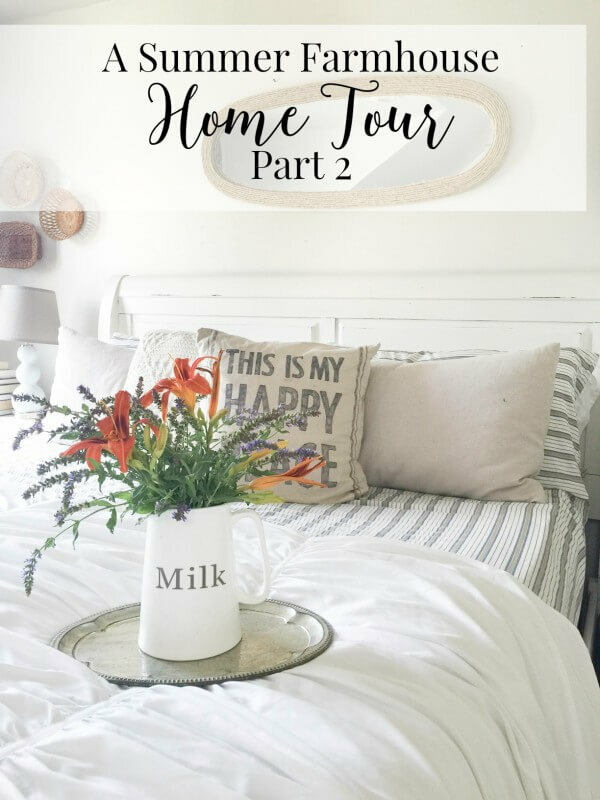 It was such a fun bloghop! 1. 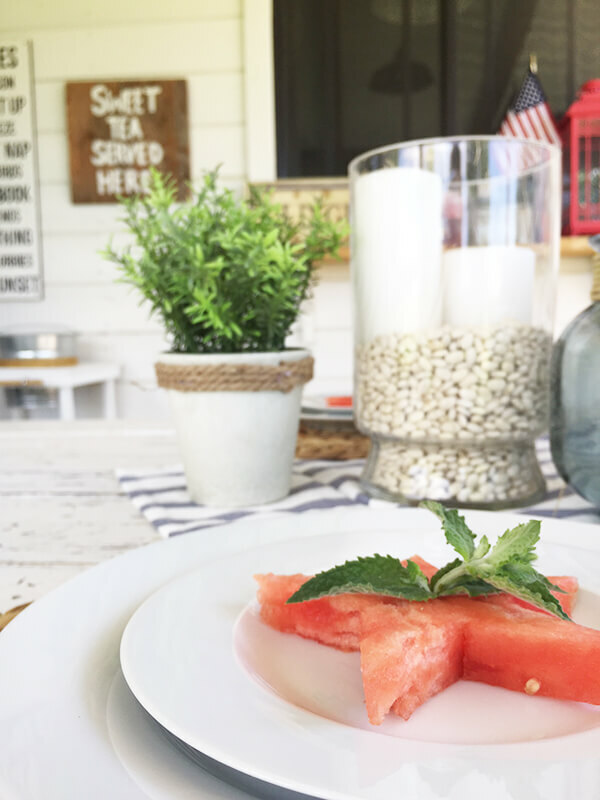 This table setting is gorgeous, 2. obsessing over that chippy white table, 3. those watermelon stars are ADORABLE! 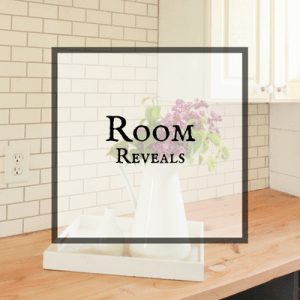 Thank you so much sweet lady for taking part in this tablescape blog hop! Just beautiful! 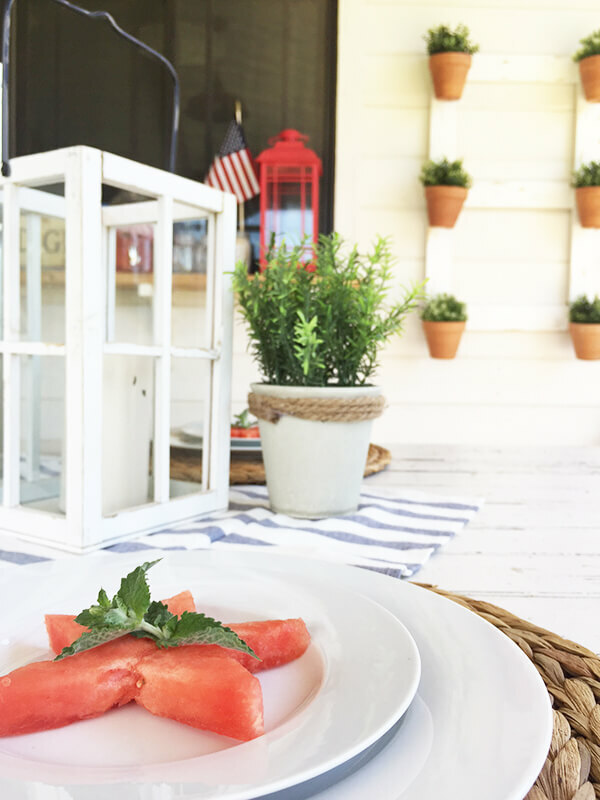 Those little watermelon stars are the perfect patriotic touch. Thanks Katie! My kids and my cats were impatiently waiting to steal them off the plates! How lovely is your table?! Those cute little watermelon stars are a great pop of red! Love it all! Beautiful setting, Sara! Love the table especially! Enjoy celebrating on the 4th!